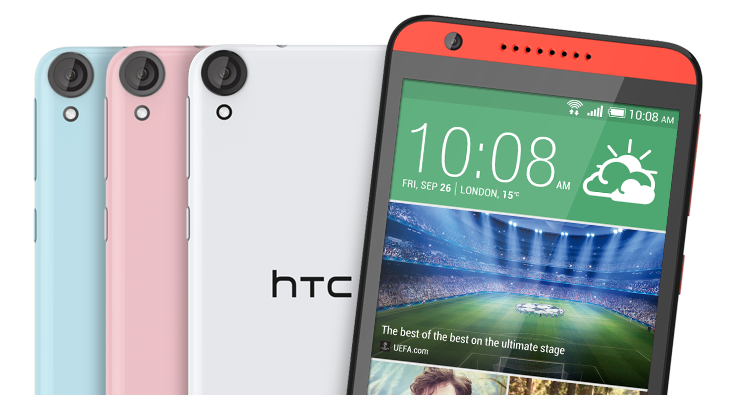 HTC has announced their flamboyant HTC Desire 820 replacing their popular HTC Desire 816. This new midrange smartphone boasts a 64 bit octacore processor from Qualcomm, 5.5 inch HD screen, and HTC BoomSound. HTC’s intention is to deliver a stylish and powerful smartphone at a great price point with this phone. The front facing camera is really breathtaking and will give a lot to cheer for selfie addicts. It features an 8 MP front camera for phenomenal selfies; thanks to its Face Fusion Software you can now take a selfie similar to your favorite celeb. With real time Live Makeup you can select desired skin tone and with PhotoBooth you capture moments in single image just like the real Photo Booth. The rear camera doesn’t fall short either, with 13 MP BSI sensor and f/2.2 aperture, it delivers great images in both day and in night. There is rapid fire and continuous shooting mode for grabbing fast moving objects or if you are not so good with photography it will let you to select the best from a group of images. Both front and rear camera supports 1080p Video recording. The Snapdragon 615 processor offers lightning fast Cat 4 4G connectivity with up to 150 mbps data transfer speeds. It offers smooth streaming, downloads and multitasking, thanks to its integrated LTE modem and octacore 64 bit CPU. Qualcomm designed the processor to meet your performance needs with special care to deliver maximum power efficiency. 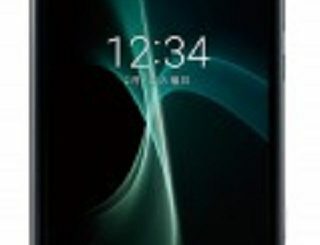 Audiovisual experience of the device is promising with the clear sound offered by HTC’s famous front facing speakers with dedicated HTC BoomSound amplifiers and 5.5 inch 720p HD display. HTC has tried to extent the quality it offers in terms of performance to the design as well. The first look in to the device and you can see the similar HTC design philosophy that we see in all HTC devices. They have assumed a two tone unibody design which delivers visual, quality, strength and tolerance improvement with double shot color technology. This device which claims both visual and built quality is available in Marble White, Tuxedo Grey, Santorini White and Milky-way Grey. HTC Dot View case is standard in this device as well. The smartphone weighs at 155 grams and measures 7.74 mm in thickness. The Qualcomm Snapdragon 615 octacore CPU is clocked at 1.5 GHZ. It is an Android Kitkat device with HTC sense UI runs on top. It provides 16 GB ROM and 2 GB RAM, you can expand the memory up to 128 GB via microSD card. This is a 4G LTE device with Nano SIM support. In some regions it is available as a dual SIM variant. The battery is a non-removable Li polymer with 2600 mAh capacity and offers 22.4 hours of 3G talk time. No need to mention the proximity sensor, ambient light sensor, accelerometer, GLONASS, GPS, Digital Compass, Bluetooth 4.0, Wi-Fi, DLNA, microUSB 2.0 etc. that we saw in all devices in the mid-range category now a days. This phone is actually a good release from HTC pre IFA, which tries to change the design and performance aspects offered, compared to other HTCs. The double shot color technology used in this one seems pretty decent as we can see the finish offered by it around the rear camera and all is elegant and noteworthy. I wish HTCs effort to match their performance with design to deliver great phones to this line of products be rewarding. There is no word about pricing but it is said to be on sale from this month itself.